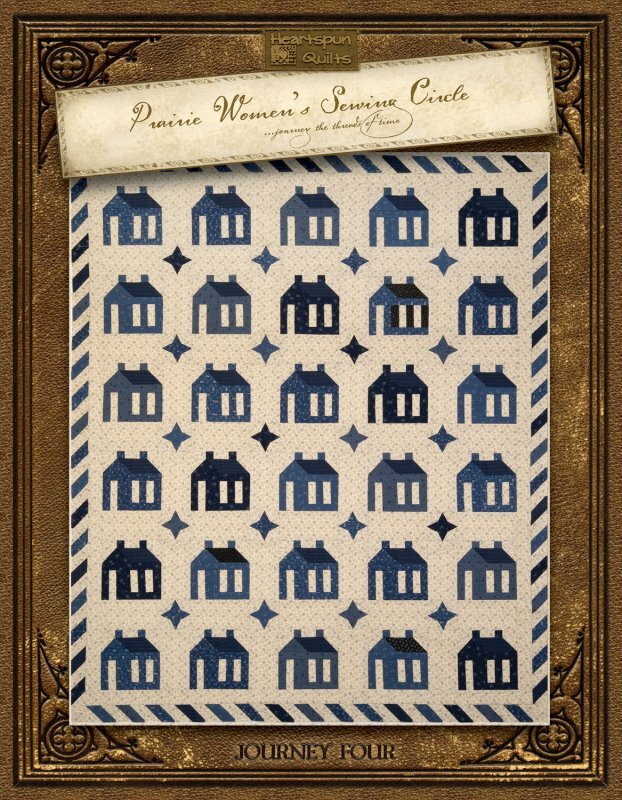 The Journey Four Prairie Women's Sewing Circle Club pattern set features six new historic anecdotal stories about what daily life was like for an "ordinary" Prairie woman, c. 1840-1900, who sewed daily of necessity. Stories are varied about the daily goings-on in her life while she traveled westward on the Oregon Trail, homesteaded in the Prairie, took care of her family, set up housekeeping, lived life during the Civil War. Journey Four features 8 do-able, affordable projects! One lap size quilt, five small quilts, and bonus patterns for a hexagon quilt and tote bag! All use modern piecing and rotary techniques, except the hexagon quilt which is hand-pieced.